March 20-26, 2011 is National Creative Arts Therapy Week! In celebration of dance/movement therapy and other creative arts therapies, I pledge to post often this week, shining light on my esteemed colleagues all over the world who are facilitating healing through the creative arts. Creative arts therapy modalities include dance/movement, drama, music, poetry, and art. I have had the privilege of working with music therapists (both bachelor’s level and master’s level therapists) at various psychiatric hospitals. Some of my most memorable groups have been those that were co-facilitated with a music therapist, where not only the movement but also the live music itself were sculpted by both of us in constant collaboration, in response to what the patients were expressing in the moment. “For example, with someone who has memory problems, particularly with Alzheimer’s disease or dementia, we will use music of personal importance. Those emotions are then connected to deep memories that we can attempt to retrieve as they are exposed to that specific music. We also use rhythm to help people with movement disorders such as Parkinson’s disease, or a stroke, to help people regain their ability to move, as well as a singing protocol that we use for people with strokes to help them regain the ability for speech. We’re using music in ways to reach people on a deep, clinical level. As music and rhythm are also integral to dance/movement therapy (though not always used) the observations Dr. Tomaino speaks of are also seen in dance/movement therapy groups with these same populations. The healing power of music and movement and rhythm and embodied awareness/expression is profound. I am so proud to be a part of the dance/movement therapy profession and the greater creative arts therapy community. We are all pioneers! Here’s to a week of celebrating the work of creative arts therapists everywhere! (And in the meantime, why not catch a flick? Watch the movie trailer for The Music Never Stopped here. Perhaps it’s at a theatre near YOU. Read about a music therapist’s perspective on the movie here. Welcome to the World of Dance/Movement Therapy! My name is Lora Wilson Mau. I am a registered dance/movement therapist in California and I am delighted that you have found this blog. My intention for this space is to provide a forum for people to learn about the profession of dance/movement therapy and to deepen their understanding of the importance of movement and the bodymind connection. I welcome your comments, questions and dialogue! First, allow me to clarify any misperceptions you may have about this field. While the modern day profession of dance/movement therapy got its start in the 1940s with WWII veterans and has been an organized, regulated field since the 1960s, many people still do not know what dance/movement therapy is. 2) Dance/movement therapy generally does not “look” like commonly held ideas of “dance.” Clients do not perform steps or routines as students do in ballet or modern classes. This is not to say that a session might not eventually incorporate some semblance of choreography or involve techniques that allow the client to deepen his/her body awareness, but the “moves” are self-generated by the client as an expression of thoughts and feelings and the unconscious and supported by the facilitating and therapeutic eye of the therapist. Essentially, in dance/movement therapy, the primary communication is nonverbal, not verbal. 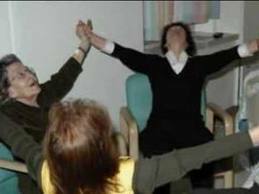 3) Dance/movement therapy is conducted with individuals, in 1:1 private practice. 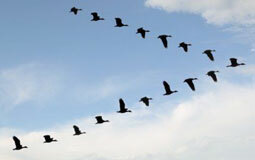 It is also conducted with groups. 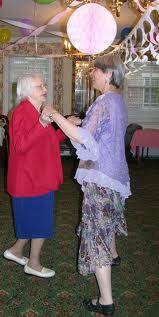 Dance/movement therapy clients can be as young as infants or as old as the frailest elderly. Dance/movement therapy can be done with those who can run and jump and those who are confined to a wheelchair or a hospital bed. Dance/movement therapists work in mental health clinics, nursing homes, psychiatric hospitals, schools, in private practice and as consultants. Essentially, if one would benefit from “talk” therapy, one would also benefit from dance/movement therapy. 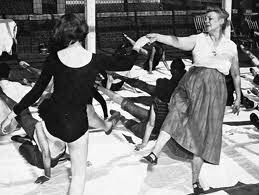 4) No two dance/movement therapy sessions look alike as each session develops in the present moment with what the client brings to the session, consciously and unconsciously. Hopefully, the information above has not simply provided you with answers but has sparked your curiosity and left you with more questions! I invite you to subscribe to my blog via the RSS feed so you will be kept abreast of the latest postings and articles. In the meantime, if you’d like to learn more about the profession of dance/movement therapy, I encourage you to check out the American Dance Therapy Association’s website. The organization is the middle of a redesign of its site, so it will become much more user friendly very soon; but, in the meantime, the information is all there.